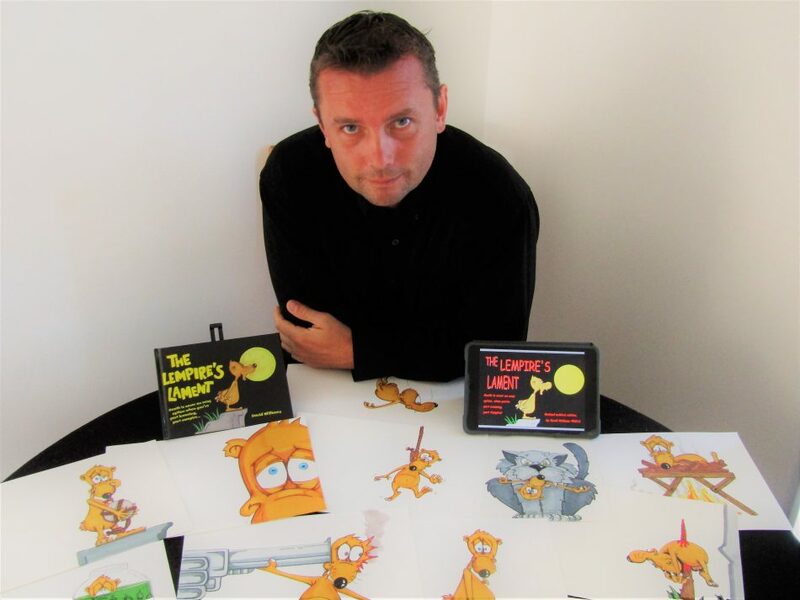 David Williams, author of The Lempire’s Lament (2010), sits with his illustrations for the book at his home in Ruakaka, New Zealand, Feb. 13, 2017. Picture: David Williams. 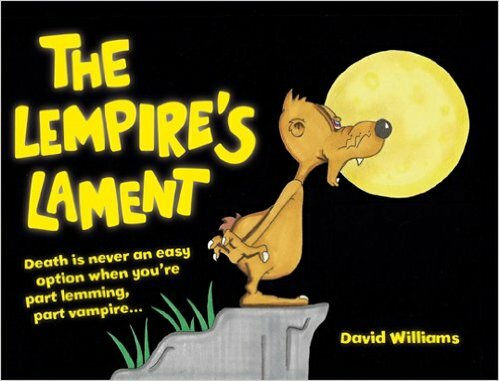 The first thing to say to David Williams is congratulations—the concept of making a lemming a vampire is nothing short of genius and, as soon as I heard about this, I was struck with the comedic value. I read the hardback edition of the book for review and I am led to believe the Kindle version is expanded with some pages that were lost in the editing process of the hardback, and the illustrations have been digitally smoothed out. That is not to say that the physical copy’s illustrations are poor, at all, and there may be some call for it above and beyond the e-copy. I’ll explain that later. However, for the volume itself. It is a landscape shaped book fully illustrated and containing a verse that, in its simplicity, reminds one of the build of a children’s book but with a content suitably macabre in subject matter for an adult. The character himself is cute as a button and has found that most of the myths about vampires are just that—be it a stake through the heart or decapitation the hardy lempire can survive them all. Sunlight may be an issue but vampiric instincts overrule lemming tendencies each time the sun rises. So what is a lemming to do? I can honestly see this being a basis for a series of short animations that would, I am sure, prove crowd pleasing but, for now, we have the book. It is a very quick read and it almost throws itself, lempire-like, off the shelf as an ideal gift idea for the vampire genre fan with a sense of humour. An amusing present gracing a Christmas stocking or birthday box. This is where the physical copy would come into its own—not least because Amazon, in the UK, doesn’t allow kindle editions to be gifted. I have seen a comparison plate and the e-version would suit more Kindle Fire machines (or the Kindle app) than the e-ink variety of the Kindle. An ideal gift for the vampire fan with everything. 8 out of 10 is given with the reminder that this score is given with the novelty value taken account of and playing a large role. 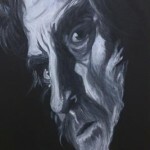 The Lempire’s Lament is available on Amazon in hardback and Kindle formats. The Kindle version is a revised edition (2016). You can reach out to David on Facebook.